Cincinnati-based Lisnr is on a roll with a recent achievement that promises to amp up the hype around this unique mobile app. 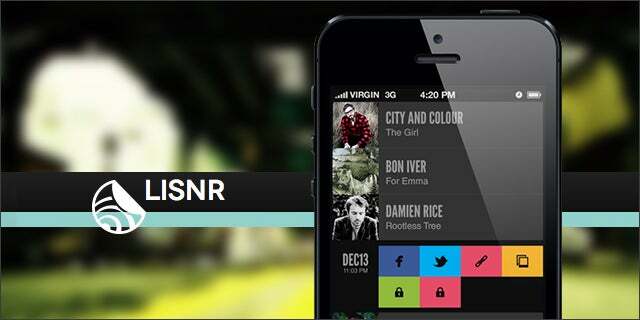 Founded on Startup Bus last year, Lisnr is a mobile application that unlocks hidden rewards in your music. By “listening” to your music choices and sending you exclusive content, it triggers fan and artist interactions, enabling a new dimension of music and mobile marketing. But Lisnr does not stop with music; in fact, it can be leveraged in a number of new and interesting ways. Mobile Futures, a new initiative by Mondelez (formerly part of Kraft Foods), is focused on driving more impulse purchases and stronger in-store marketing. It looked to the tech startup community to help. After an open call this past October, Lisnr was one of nine startups ultimately selected out of 126 applications. The Lisnr team will be working closely with the brand Trident (as in the gum) and its team to develop new mobile apps and technology that help engage the mobile consumer. The goal for Mondelez is to discover new technology, and eventually form new companies targeted on creating mobile consumer experiences that generate impulse purchases. Lisnr, along with the other eight startups, will have the opportunity to form a deep relationship with a global brand and ultimately pitch their creations to angels and VCs at the end of this collaboration. In many ways, this project is a return to Lisnr’s consumer product roots. Lisnr’s CEO, Rodney Williams – just recently named one of the “40 Under 40” Top Marketers across the US by Ad Age – came from the Pampers division at Proctor & Gamble. “Lisnr is an extremely unique, innovative, and behavioral-relevant platform to connect to consumers or fans,” Williams explains. “Our intention from the very beginning was to design and implement a product that could facilitate a large number of use cases. Music became our first vertical due to traction and the ability to bring magic back to the music technology space,” he says. Lisnr has a bright future as marketing dollars continue to pour into the mobile market. Mobile technology is a new bridge to the consumer, and Lisnr is helping build it.